While not my intention this week events have kind of messed with what little scheduling I have, and next week will be even worse. Life just keeps getting in my way. So to attempt to get back on track I need to do another filler video. All Hail Megatron will signify the end of my look at the IDW Transformers Universe (although I will be doing stories from other continuities) since the last few issues of the main AHM stories were reviewed when BW Media Spotlight began. I’ll be revisiting those issues but as I continue to go through my comic collection to cut it down I don’t want to spend time re-reviewing the entire series until I jumped off. Between “This Week’s Reviews” and “Today’s Comic” everything should be done as I complete the series through “Yesterday’s Comic”. You can hunt down those reviews at your leisure because there are quite a lot. However, if you just want a quick overview of the IDW TFU, Transformers: The Basics has you covered. In tonight’s filler video Chris McFeely gives a brief synopsis of the IDW run and recommends some stories to start with. Word is that IDW will soon be ending the series with the arrival of Unicron. How this will affect the other Hasbro comics like GI Joe and MASK, which were set in this continuity I don’t know or frankly care. I never really got into phase 2 and left just before the Dark Cybertron storyline. And longtime readers may remember my review of the MASK comics, where I said they were good but were MASK in name only, getting the costumes and vehicles right and not much else. I was never really into the GI Joe comics IDW put out, or at all unless they crossed over with the Transformers. What is the future of Transformers in comics? I don’t know but I hope it’s a return to form and back to the war. I’d also like to see either Bob Budiansky or Adam Patyk and James McDonough (this time with a publisher who will PAY THEM) back on the title. Those stories I really enjoyed. If you want to see more episodes of Transformers: The Basics, check out McFeely’s YouTube channel. I wonder why he didn’t mention what they did to Arcee? Maybe in the Basics on her? I’d also like to see one for the Dreamwave continuity in the future. 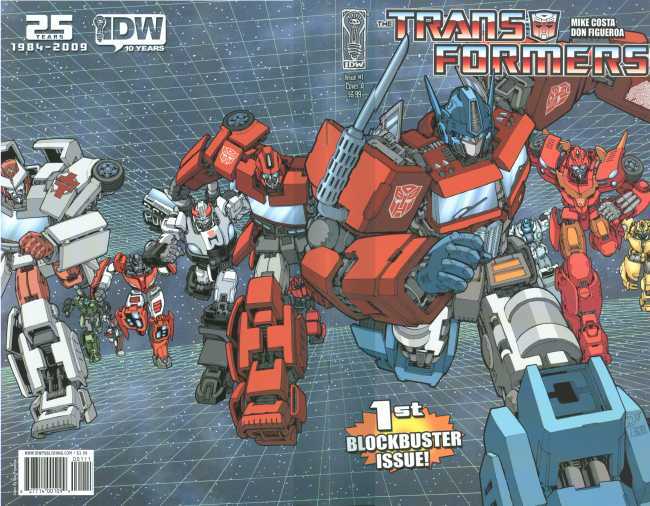 Posted by ShadowWing Tronix on March 29, 2018 in Comic Spotlight and tagged IDW Publishing, Transformers, Transformers: The Basics.